“I Kill Giants” by The Naked And Famous, from their second album In Rolling Waves. 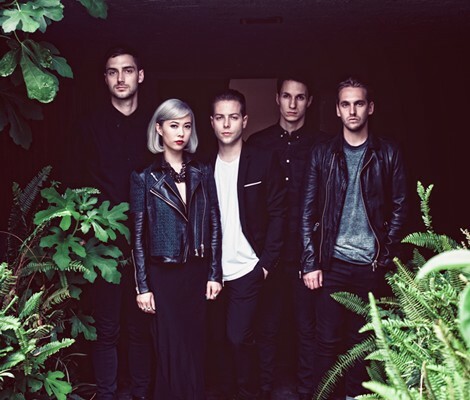 New Zealand quintet The Naked and Famous have just announced the release of their sophomore album In Rolling Waves (via Republic on September 17th, 2013), teasing us with the lead single “Hearts Like Ours”. Setting up shop in Laurel Canyon, Los Angeles to work on In Rolling Waves, the band enlisted the help of producers Powers and Short, along with Justin Meldal-Johnsen (M83, Beck and NIN) with co-production on two tracks. The result “delivers darkly nuanced, intricately rocking electro gems” once again born in bedroom studio sessions, then demoed in studios in Wales and Australia ahead of recording at Sunset Sound in Hollywood. Look for a North American tour in late September before heading to Europe and arriving in the UK late November.